Ponder the thought of what if Main Street in Clarence was easier to negotiate with a bicycle? A location where you could safely and confidently pedal to meet your friends at Goodrich Coffee, or pick up some produce from Dash’s Market? Main Street is currently somewhat bike friendly, with large paved shoulders from Transit Road to the town line. The presence of designated bike lanes could even better enhance life around Main Street. One of the signs of a vibrant town or business district is when bike lanes are incorporated into traffic lanes. 1.) Increase visibility of Main Street businesses. Protected bikes lanes encourage more people to rides bike to their local businesses. There is a general consensus that when bike riders incorporate errands and bike riding, it actually becomes a lifestyle activity to do on say, a Saturday morning. The slower pace allows for the sense of discovery. Bike riders end up patronizing their local businesses more, instead of whizzing by in their car going 45 mph. Some nice folks out riding on Main Street. 2.) It’s good for the community and tax base. There is a simple rule in the world of real estate; the more people who can easily access a property, the more valuable it becomes. In regards to residential real estate, it has been proven that home values are higher when within a half-mile of a protected bike lane or bike path. 3.) It’s a healthy and environmentally-friendly way to travel. Whether traveling to work or going down the street to get a coffee, incorporating bike riding in your daily lifestyle can produce tremendous health benefits. Of course, the environment benefits when people choose using muscle power over automotive power. The benefits of bike riding are realized by millions of people each day. 4.) Attracts people. A community is more attractive when there are places for everyone. Bike lanes allow people to easier explore and enjoy towns. Bike riders love exploring new places. 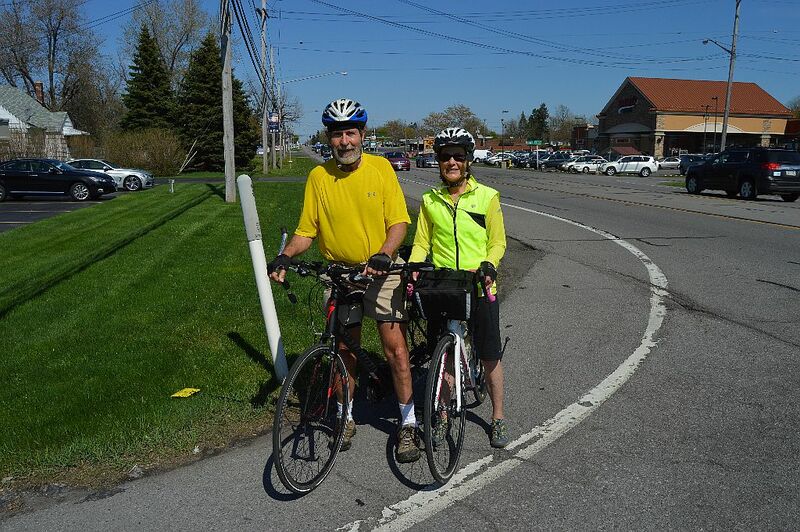 With the Clarence-Akron-Newstead trail (coupled with Main Street bike lanes), Clarence could become a favorite biking destination for day-trippers. People love to ride their bikes and they want to live or rent in communities where a major lifestyle or recreation choice is hindered. 5.) Bike lanes create a sense of order. For both vehicle drivers and bicyclists, having designated moving lanes adds to the flow and rider/driver predictability. Main Street in Clarence has wide shoulders, which helps. However, a bicyclist wants to feel safe riding in their own lane, while a vehicle driver prefers to know that the bike rider isn’t going to jump lanes, creating a less safe environment. 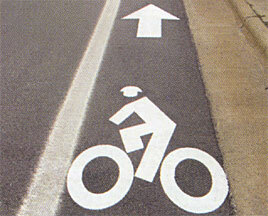 Bike lanes keep everyone on the same page. i would also like to see the bike path extended from Sunset Park to Wehrle Dr entrance to bike path. I am tired of hearing excuses why it can’t be done! We should probably wait until someone gets killed to do anything. Previous Previous post: All bets are off…the coolest spot on Main Street Clarence.